The added weight from melting land ice has depressed the seafloor about 0.005 inches annually between 1993 and 2014, demonstrating the large-scale impacts of climate change. With solid data showing that the oceans have been rising slowly but surely for more than a century — more than 3 inches since 1993 alone, according to NASA satellite readings — scientists have long been sounding alarm bells about melting glaciers, coastal flooding, and other problems. 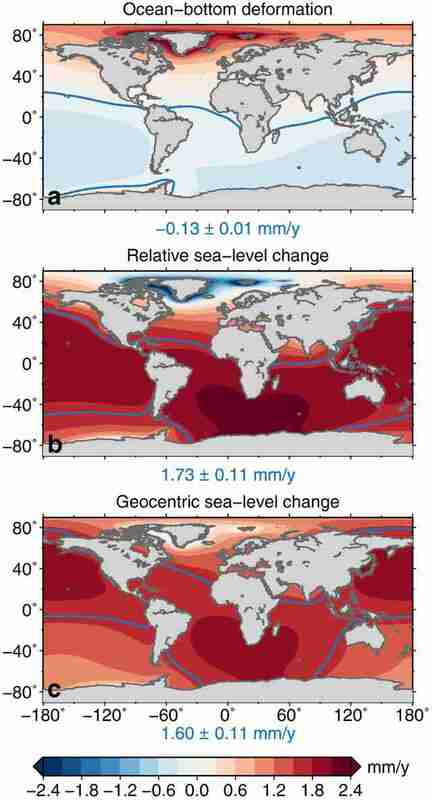 Now researchers in the Netherlands and Australia believe those satellites might have overlooked a small but potentially significant amount of water in the rising seas due to the compression that occurs as more water presses down on the ocean floor. Writing in the journal Geophysical Research Letters, the scientists claimed the weight of the ocean has depressed the seafloor by around 0.005 inches annually from the period they studied between 1993 and 2014, or a little more than a tenth of an inch in total. 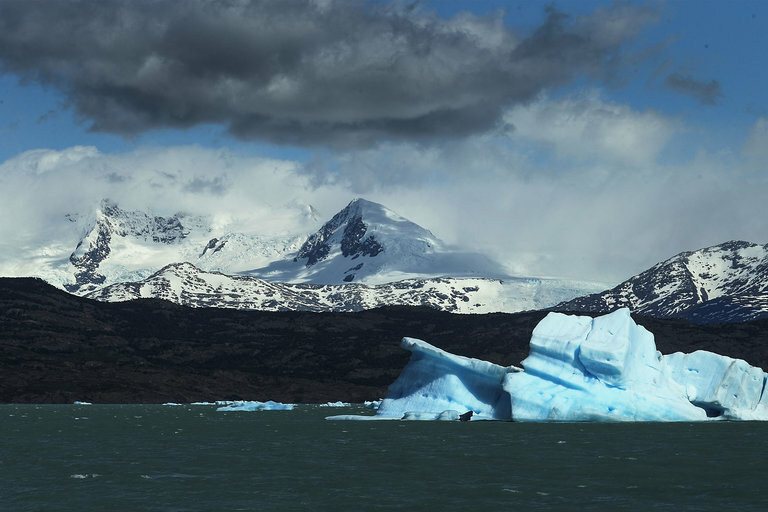 That means scientists and others have likely missed around 4 percent of the total additional volume of water that has flowed into the oceans from melting glaciers and other sources due to climate change, they argued. The findings don’t necessarily alter expectations about the looming threats of climate change. But they underscore how greenhouse gas emissions are changing the face of the Earth. “Because of climate change, human beings are deforming our planet,” said Frederikse. Satellites measure sea levels by comparing their position in orbit to the distance from the ocean surface. But they use the center of the Earth as their reference point. They wouldn’t necessarily see a change in the volume of the oceans as they grew deeper, the researchers wrote. The team received support from the Netherlands Organization for Scientific Research, the Australian Research Council and the Australian Research Council Special Research Initiative for Antarctic Gateway Partnership and Discovery Project. Scientists knew that the seabed contracts under high tides and expands during low tides, so the findings weren’t a surprise, said Don Chambers, a professor in the College of Marine Science at the University of South Florida who was not involved in Frederikse’s study. Chambers also noted that the Intergovernmental Panel on Climate Change and others wouldn’t change their forecasts of the effects of climate change due to the findings. Frederikse echoed those thoughts. He and his colleagues in his field refer to a “sea-level budget,” or an account of the rising and falling of the oceans that is analogous to tallying assets and liabilities on a balance sheet. In the same way accurate accounting is essential to running a business, knowing how the seas are rising is vital to figuring out how to deal with the problem.